Gulf South Pipeline Co. has requested authorization to construct and operate its St. Charles Parish Expansion Project. Gulf South proposes to construct a new 5000 hp (3730 kW) compressor station near Montz, Louisiana, USA. The Montz Compressor Station will include two 2500 hp (1865 kW) Caterpillar G3608 A4 engines. The proposed St. Charles Parish Expansion Project will provide 133,333 dekatherms per day of firm transportation service to Entergy Louisiana LLC’s proposed 980-MW natural gas-fired combined cycle electric generating unit to be located near Montz, Louisiana. 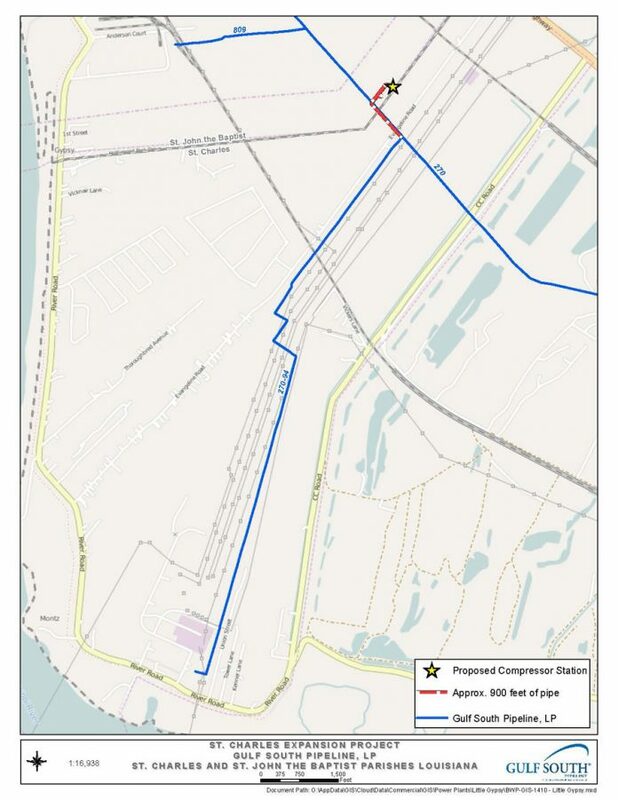 In order to provide the natural gas pipeline service to Entergy Louisiana, Gulf South proposes to construct the St. Charles Parish Expansion Project which will consist of a new compressor station, including gas cooling, yard, and station piping, and auxiliary, ancillary facilities, and approximately 900 ft. (274 m) of new 16-in. (406-mm) diameter natural gas pipeline, and various auxiliary, ancillary facilities all located in St. Charles and St. John the Baptist Parishes, Louisiana. Gulf South plans to begin construction of the St. Charles Parish Expansion Project by Fall 2017 and place the facilities in-service by September 1, 2018.